April in the foothills of the Blue Ridge Mountains is a beautiful month, one might even say pure poetry. 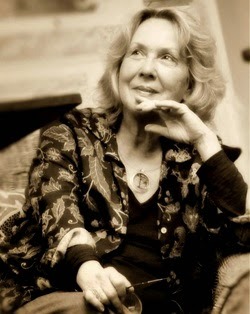 So please join Kathryn Stripling Byer and other celebrated poets, including Joseph Bathanti, at the Lanier Library on April 26, 2014, for a day of inspiration, education and a sociable gathering of creative minds. The Lanier Library in Tryon, North Carolina will be hosting a new literary festival celebrating one of the most beloved and advanced forms of literature in the history of the written word: POETRY. They have invited some of the country’s most respected poets to lead a variety of writing workshops; to discuss poetry’s importance in our lives; to offer publication advice; and to give free public readings of their work and autograph their books. A highlight of the day is a catered luncheon with honored guest Mark Doty. Doty has published eight collections of his poetry, including Fire to Fire, which won the coveted National Book Award in Poetry in 2008. The festival concludes with a public reception at the Lanier Library to announce the winners of the sixth annual Sidney Lanier Poetry Competition (open to poets in North and South Carolina and Georgia). This year’s judge of the competition is current North Carolina Poet Laureate Joseph Bathanti, who will speak at the reception. In addition, the prize recipients will read their winning poems. Hors d’oeuvres and wine will be served. Western Carolina University's sixth annual Spring Literary Festival will be held on campus in Cullowhee April 7-10 and includes a wonderful line-up of authors. Books will be available for sale at each reading, and all events are free and open to the public. As an encouragement to attendance, campus parking regulations will not be enforced for attendees from the community (as any tickets will be forgiven). For more information, please call the WCU English Department at 227-3265. Monday, April 7, 2008 7:30 p.m.Location: Western Carolina University, Coulter Auditorium, Memorial Drive, Cullowhee, NC 28723 Novelist Lee Smith reads from On Agate Hill. Performance of On Agate Hill by Barbara Bates Smith and Jeff Sebens immediately follows.Growing up in the Appalachian Mountains of southwestern Virginia, nine-year-old Lee Smith was already writing-and selling, for a nickel apiece- stories about her neighbors in the coal boomtown of Grundy and the nearby isolated "hollers." In 1968, she published her first novel, The Last Day the Dog Bushes Bloomed. Tuesday, April 8, 2008 7:30 p.m.Location: Western Carolina University, University Center Auditorium, Memorial Drive, Cullowhee, NC 28723. Author and commentator Dagoberto Gilb reads from his work. Dagoberto Gilb's first story collection, The Magic of Blood, won the PEN/Hemingway Award. He is also author of The Last Known Residence of Mickey Acuña, a New York Times Notable Book of the Year. His newest novel is The Flowers, published this year. His essays have appeared in The New Yorker, Harper's, and as commentaries on NPR's "Fresh Air." Wednesday, April 9, 2008 4:00 p.m.Location: Western Carolina University, Coulter Auditorium, Memorial Drive, Cullowhee, NC 28723. Poet's Panel: Joseph Bathanti, Sarah Lindsay, Carolyn Beard Whitlow. Poet and novelist Joseph Bathanti is the author of four books of poetry: Communion Partners; Anson County; The Feast of All Saints; and This Metal, which was nominated for The National Book Award, and won the 1997 Oscar Arnold Young Award from The North Carolina Poetry Council for best book of poems by a North Carolina writer. His novels are East Liberty and Coventry, was a winner of the 2006 Novello Literary Award. His collection of short stories, The High Heart, was winner of the 2007 Spokane Prize. Sarah Lindsay is the author of Primate Behavior, a finalist for the National Book Award, and Mount Clutter, as well as two chapbooks, Bodies of Water and Insomniac's Lullaby.Poet Carolyn Beard Whitlow is Charles A. Dana Professor of English at Guilford College in Greensboro, where she teaches Creative Writing and African-American Literature. Her most recent collection of poems, Vanished, won the 2006 Naomi Long Madgett Poetry Award. Wednesday, April 9, 2008 7:30 p.m.Location: Western Carolina University, Coulter Auditorium, Memorial Drive, Cullowhee, NC 28723. Novelist Pat Conroy reads from his work.Pat Conroy is the bestselling and award-winning author of The Water is Wide, The Great Santini, The Lords of Discipline, The Prince of Tides, Beach Music and My Losing Season. His novels are populated with domineering fathers, southern belles of steel, and inexorable tragedy; all are elements the author is familiar with from his own life. Thursday, April 10, 2008 12:00 p.m.Location: Western Carolina University, University Center Auditorium, Memorial Drive, Cullowhee, NC 28723. Gilbert-Chappell Distinguished Poet Cathy Smith Bowers presents Caleb Beissert, Haley Jones, and Tom Lambert. Cathy Smith Bowers, Distinguished Poet for the western region, presents emerging poets Caleb Beissert, Haley Jones, and Tom Lambert. The Gilbert-Chappell Distinguished Poet Series supports the mission of the North Carolina Poetry Society to foster the reading, writing, and enjoyment of poetry across the state. Three Distinguished Poets, one from each region, mentor a middle-school, a high-school, and a college or university student. Thursday, April 10, 2008 4:00 p.m.Location: Western Carolina University, Coulter Auditorium, Memorial Drive, Cullowhee, NC 28723. Poet Gloria Vando reads from her work.Poet Gloria Vando is publisher /editor of Helicon Nine Editions, a nonprofit literary press she founded in 1977. Her book of poems, Shadows and Supposes, was named the Best Poetry Book of 2003 by the Latino Hall of Fame. Thursday, April 10, 2008 7:30 p.m.Location: Western Carolina University, Coulter Auditorium, Memorial Drive, Cullowhee, NC 28723. Novelist Russell Banks reads from his work (an LCE event). Russell Banks grew up in a working- class world that has played a major role in shaping his writing. His titles include The Darling, Cloudsplitter, Affliction, The Sweet Hereafter, Searching for Survivors, Hamilton Stark, The New World, The Book of Jamaica, Trailerpark, Continental Drift, Success Stories, and Rule of the Bone. The Angel on the Roof is a collection of thirty years of Banks' short fiction.